Home News Where is the iPhone 7 (RED)? Has Apple discontinued it? Where is the iPhone 7 (RED)? Has Apple discontinued it? Yesterday Apple launched in its line (PRODUCT) RED an impressive version of the iPhone 8 in red , to which it is fair to acknowledge that it feels scary, especially if we take into account that the front is black . It may seem logical, but the previous (PRODUCT) RED and the firm's first red iPhone was the iPhone 7 with white front. If you liked it, you will have to wait very little to get it and you will not have to pay even one euro more for the change of color. 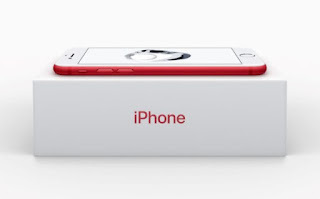 By the way, if you visit the Apple website you will see that the bitten apple has more phones on the market than ever and that some models are experiencing a new spring thanks to the offers. Among all of them stands out the iPhone 7, a phone with a conservative design but that guarantees a great user experience. It is no secret if we confess that the iPhone 7 is worth it in 2018 but surely more than one has thought about getting the blanket on the head and get the controversial iPhone 7 (RED) . To your surprise, you will not find it on the Apple website . The iPhone 7 (RED) was not only the first red phone in the bitten apple, but it was only released with 128 GB and 256 GB capacity. Has Apple discontinued the iPhone 7 (RED)? It is true. Apple no longer offers the (PRODUCT) RED iPhone 7 or iPhone 7 Plus and we did not see a trace. If you go to the main operators, you will reach the same conclusion. Maybe if you track down the internet with a loose one, a real phone in extinction. Without going any further we have found two bargains: the iPhone 7 (RED) for just over 600 euros in its 128 GB version, both in Amazon and eBay . In any case, we will always have to get a red case for our phone, buy the wonderful iPhone 8 (RED) or the iPhone X with the special case (PRODUCT) RED that Apple has put on sale.